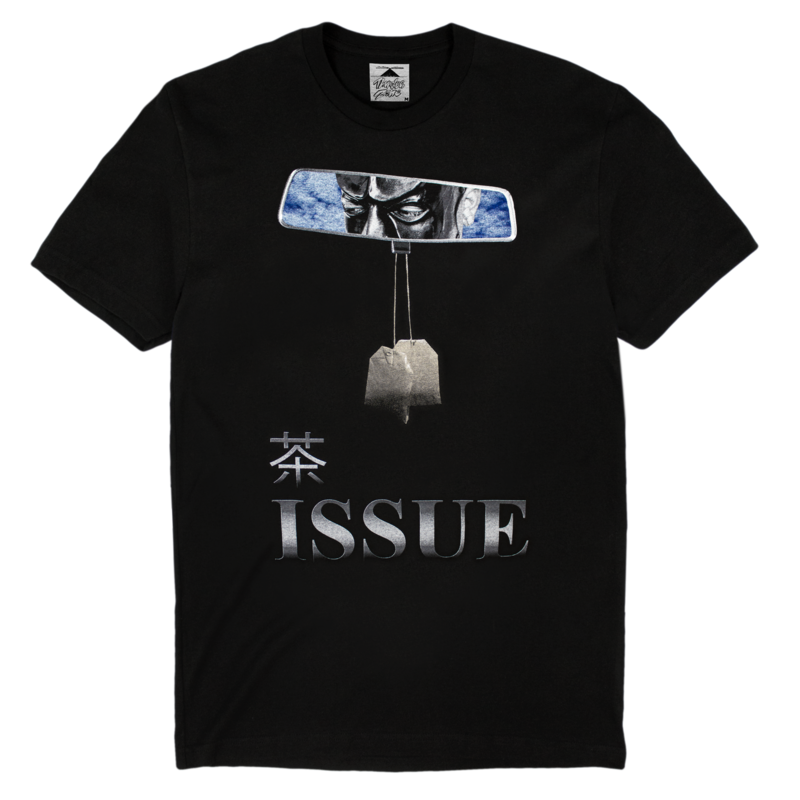 COLLABORATION WITH BAY AREA RAPPER ISSUE. RINGSPUN COTTON SHIRT WITH COLOR FRONT AND BLACK AND WHITE BACK. THUNDER ZONE LOGO SCREENPRINT ON INSIDE. DESIGNED BY 333 BOYZ. TEAHOLICS UNITE.